The internship training in Canada is an efficient way to enhance your skills and knowledge in a particular professional field through participation in a structured training programme. Thousands of positions are waiting for you all over Canada. Your internship will be 6-12 months. Homestay accommodations are available in Vancouver and Toronto, and include a private room, shared facilities and three meals per day. You can choose from various fields or specify your requirements and we will match your request with a suitable organisation: Our partner organisations are located all over Canada. Type of job	 Hospitality and tourism, IT, various. Salary (other benefits)	 CAD $10 - $15 per hour for paid positions / paid and unpaid positions. Accommodation Accommodation at the hotel available for some hospitality and tourism internship placements. Location of job placement Canada, mostly Vancouver and Toronto. Duration of the placement	 6-12 months. Eligibility. Who can apply? Internship visas are available for candidates who are 18-30 years old from the following countries: Czech Republic, Germany, France, Latvia, Netherlands, Norway and Switzerland. The candidates from all countries listed under Working Holiday Canada programme are also welcome to apply for an Internship in Canada. Candidates from some countries can be up to 35 years old. Please contact us for more details. 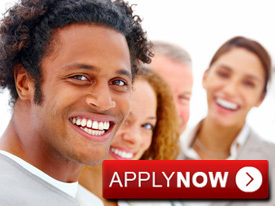 Check the Application process for more detail. Cancellation The booking fee of 350 CAD is non-refundable after successful programme registration. Check programme costs and cancellation policy. Interns will work for 6-12 month terms at a hotel, starting in a night-auditor role and circulate throughout the hotel to experience each of the different departments and roles. Hospitality interns must have at least one year of experience at a hotel or resort or be recent graduates of a hotel management course. Interns are paid approximately $10 - $15 per hour and receive subsidised accommodation at the hotel or resort at $7 - $10 per day. This internship may be paid or unpaid. Internships are available in Vancouver for database administrators and for ASP.Net, Java, software, and web application developers. Interns may work at small, medium-sized or major IT firms (for example Electronic Arts), or within the IT departments of large hotels or manufacturers. If paid, interns typically receive a stipend of $200 - $400 per week. To be paid, interns are required to have a minimum of 1 year’s related experience. If you do not have experience, or your skills are not applicable in Canada you may still be eligible to participate in an unpaid internship.